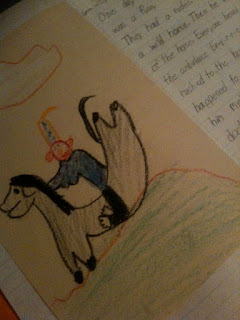 I'd go through my childhood notebooks but I used to plagiarize a lot of ideas (honestly, I'd try to put my own spin on them, but they were pretty severely unoriginal), so I don't think they'd be too helpful. 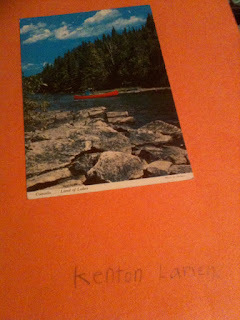 And I destroyed my very short diary many years ago when I realized how stupid I sounded. Not that I had the attention span to write entries for more than 4 days straight. Always preferred making things, I guess! Ha, ha! Yes, when you have lots on your mind, why slow down for grammar or punctuation? That's why it's always fun to talk to you - no down time! Ha! Maybe we've just discovered that writing and graphic design is genetically predetermined! I completely agree. I carry a notebook around all the time, I call it my "goal book" but if there's anything I need to jot down, it's in there; ideas, usernames, reminders, oh yeah, and goals. So much better than random loseable scraps of paper, your hand, or your memory! I keep telling myself I need to get a notebook to write down all the future gold that comes out of my mind, but I never get around to it. Perhaps I'll make it a New Year's resolution! From time to time I've kept a notebook on my nightstand, because I inevitably think of great ideas while laying in bed, consider getting up and writing it down, shrug it off and swear I'll remember it in the morning, and then spend half the afternoon trying to remember what that great thing was... I really need a notebook! The big issue I have is size/portability. Ideally, the book should be small enough to carry around with me but not so small that I feel cramped for writing space. And I like a heavier paper stock, because I press firmly when writing. And the notebook needs some personality, lest I have to decorate it with stickers and taped on images like some crushing tween girl. Great! Now I'm kind of stressed because I "need" this notebook to start out 2010 right, but I haven't got one. D'oh!